Enabled The provider state (always true). Type The provider type (PRIVATE means only you can use them). 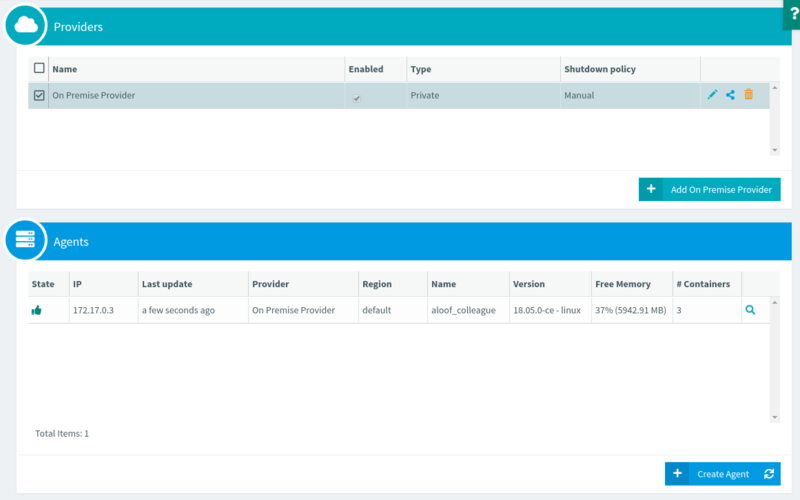 Shutdown Policy The provider shutdown policy: Manual for on-premise providers and automatic for cloud ones. and the trash orange button is used to remove them. The following procedures explain how to manage providers. Confirm deletion by answer Yes in the dialog.